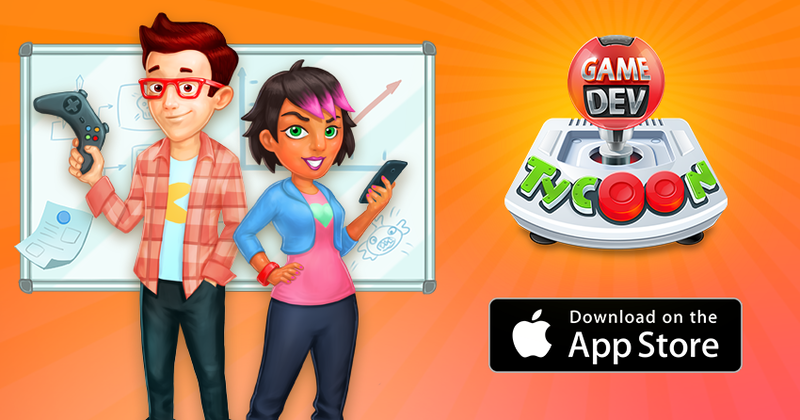 Game Dev Tycoon is available on iPhone and iPad RIGHT NOW. Go and get it! 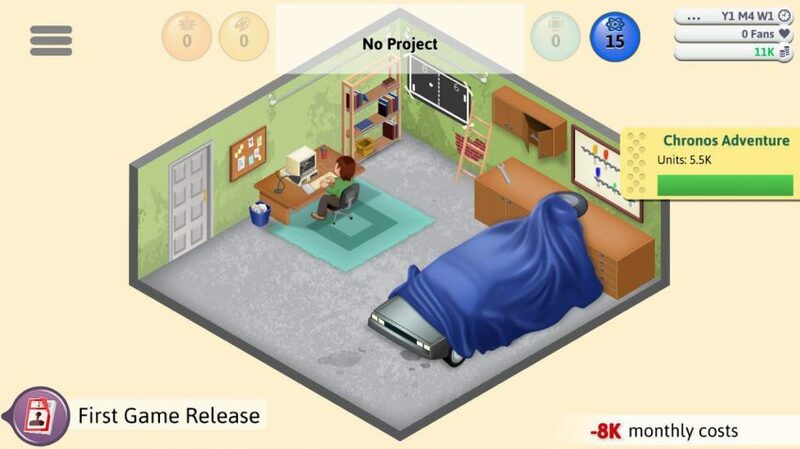 The mobile port of Game Dev Tycoon was rewritten for mobile from scratch by our development partners Rarebyte. 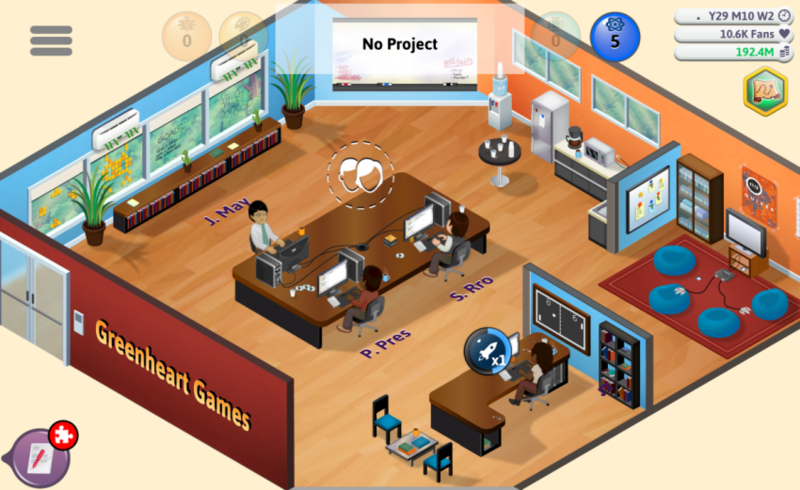 Work started more than a year ago and all in all it took more than three thousand hours to bring Game Dev Tycoon to mobile. This isn’t just a straight port. 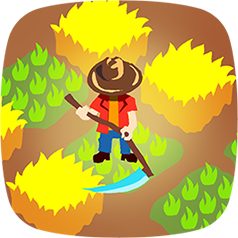 A lot of love and care went into this and once we saw the quality of the port we took some time out from our second game to develop new content for the mobile release. Gaming history doesn’t stand still and so we’ve updated the game’s story line to match. Who knew Ninvento would deliver another innovative console to the market? 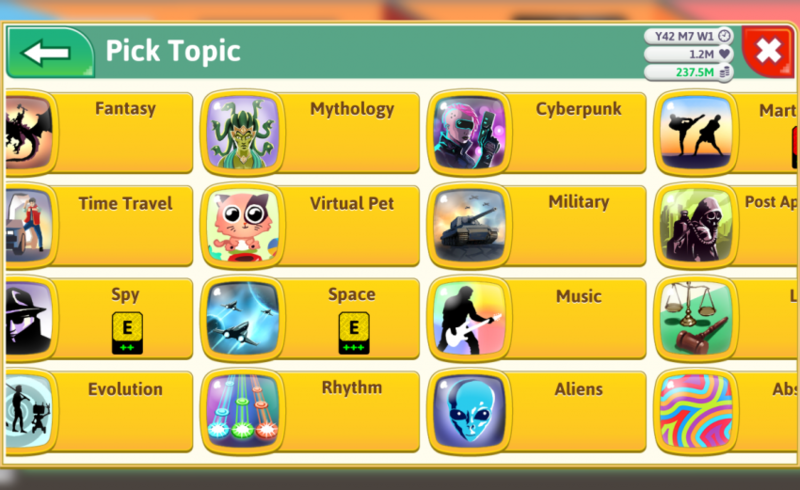 We added a bunch of new topics to the game, from Farming and Mad Science to Dystopian and Abstract, to name a few. Now you have even more freedom to make the games you want to make. 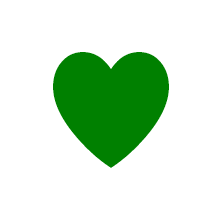 As part of the extensive user interface redesign, we’ve also given all topics shiny new icons. The mobile release introduces a new (and optional) super challenging pirate mode. Can you survive as a game developer when faced with game piracy? Will you take investor money to stay afloat? Can you keep up with the DRM curve to protect your income or will you go bankrupt like the majority of startups? 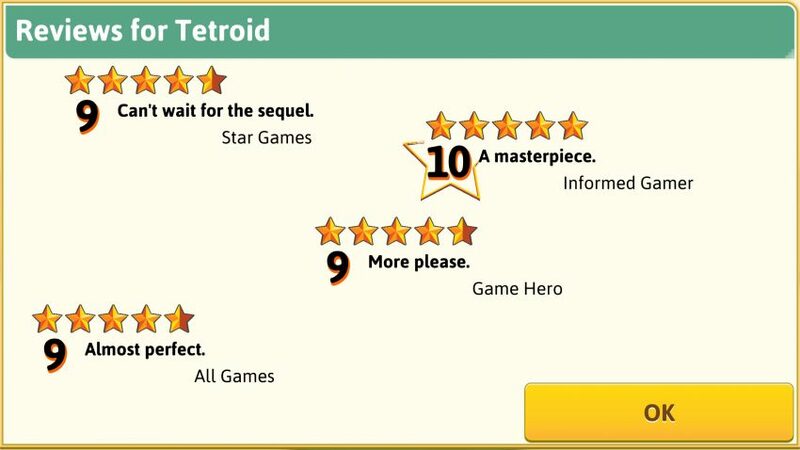 Inspired by true events, this game-mode provides a tough challenge to seasoned game dev tycoons. 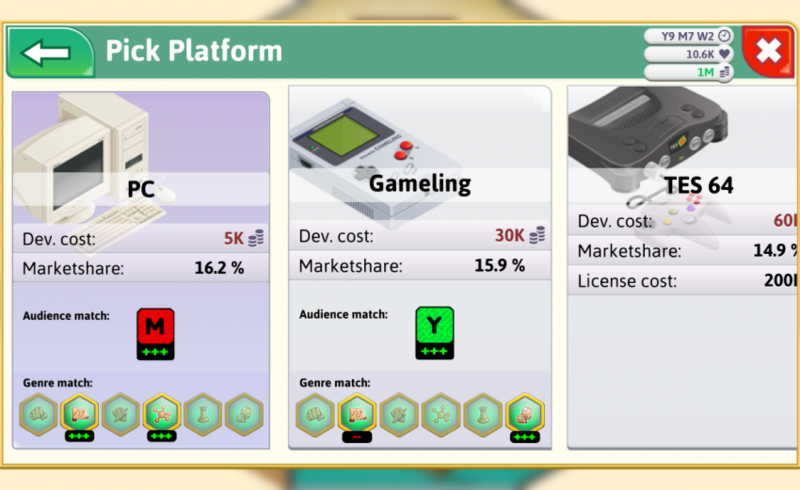 Game Dev Tycoon for iPhone and iPad has built-in support for video recording and streaming so if you are a influencer and entertainer, go ahead and broadcast your path to your success (or failure)! Game Dev Tycoon on iOS costs $4.99 (USD) or your local App Store equivalent which, depending on your currency and taxation system, varies (we don’t have control over region-specific pricing). That’s about half of what it costs on PC. The game has no ads, no in-app purchases and (ahem), no loot boxes. Originally, we planned to update the Steam/Desktop version a few weeks after the Android release in January but since receiving so much interest from PC players, we plan to put a beta version on Steam once the iOS release has calmed down a little. 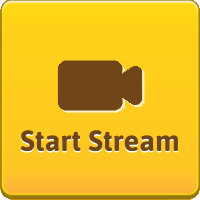 This will also give modders a chance to make use of our new topic icon features, though adjusting mods is entirely optional as existing mods should continue to work without issues. Should I buy the game? 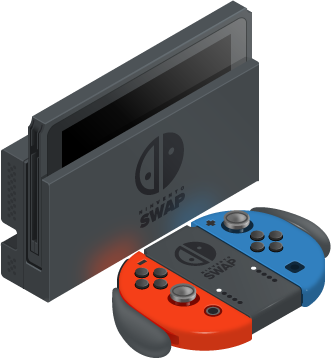 You like the game and want to help spread the word? That’s so nice of you! To discuss our announcement, please head to our forum.